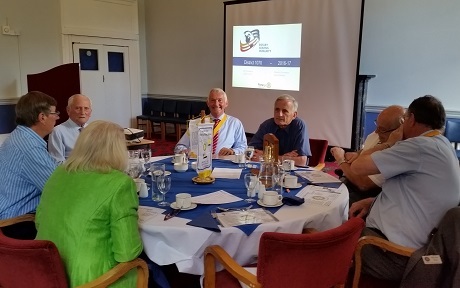 The move of the Rotary Club of Lincoln from District 1270 to District 1070 was emphasised by the visit today of DG John Dehnel. It was fortuitous that the induction of a new member was coincidental with one of DG John´s concerns about membership. Even lunch is an opportunity to promote Rotary. 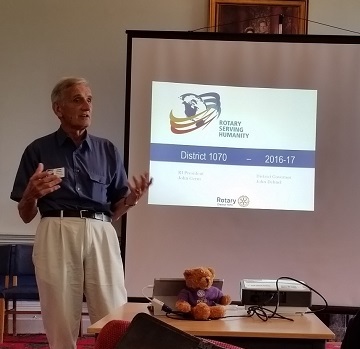 DG John welcomes the Rotary Club of Lincoln into District 1070 and sets out his hopes and concerns for this Rotary year.